Is there actually causes which justify the sale of waqf property? What are these causes if they exist? And if such a sale is valid and takes place, what is the rule concerning the proceeds? May we replace it (the original waqf property) with som~ thing capable of fulfilling the objectives of the waqf, so that a new property takes the place of the old one and is governed by the rules applicable to it? We will discuss the opinions of the different schools in detail and this discussion will make clear the replies to these as well as some other questions. 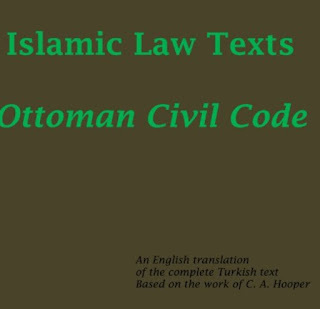 I haven't come across anyone among the Jurists of the five schools who has dealt with this issue in such detail as the two Imámi Jurists al-Shaykhal-'Ansan, in al-Makasib, and al-Shaykh Muhammad Hasan, in al-Jawaahir, "baab al-tijarah." The two have examined the issue from all the angles, together with its numerous sub-issues, and have sifted the various opinions expressed in this regard. We will present a summary of the important issues dealt with in these two incomparable books, on which we have relied more than any other work in persenting the Imámi viewpoint. In this regard it may be pointed out that al-Shaykh al-'An~ari and the author of al-Jawaahir, in what they have left of their works, do not save the reader from toil and effort; rather, they require from him application, patience, intelligence and a substantial educational back ground. Without these it is not possible to follow these two authors or even to trace the path they have taken. Rather, they leave him lost and unable to find safe passage. But one who has a firm educational base is bestowed upon by them the most precious of gems (jawahir) and the most profitable of earnings (makasib), provided he possesses patience and persistence. I am not aware of any other Imámi Jurist from among the earlier or later generations who has bestowed Ja'fari fiqh and its principles life and originality to the extent given to it by the mighty pen of these two. Numerous views have been expressed in this regard and the clash of opinions visible here is not to be seen in any other issue of fiqh, or at least in the chapter on waqf. 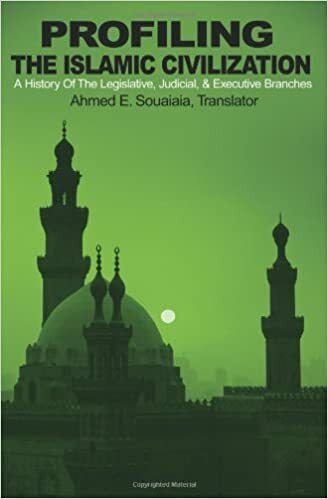 The author of al-Jawahir has dealt with the medley of conflicting opinions and we mention here a collection of his observations: The Jurists differ regarding the sale of waqf in a manner the like of which we do not generally encounter in any other issue of waqf. Some of them absolutely prohibit the sale of waqf, some others allow it under certain circumstances, while a group among them refrains from giving any opinion. 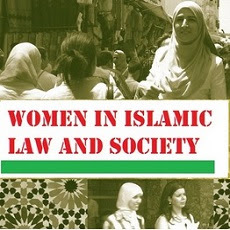 Rather, the number of opinions expressed is so large that each Jurist has his own specific view, and there are instances whe:e a single Jurist has expressed contradictory views in the same book; for example, the view expressed by him in the chapter on sale contradicts his opinion in the chapter on waqf. Sometimes contradictory ideas have been expressed in a single argument, so that that which is observed in the beginning differs from the observations at the time of conclusion. The author of al-Jawahir has recorded twelve different opinions and the reader will learn about the most important among them from the issues discussed below. fore, it is at times termed fakk al-milk (release from ownership) and at times tahrir al-milk (liberation from ownership). That is, earlier it was confined, while now it has become free from all constraints. Now when it is not anyone's property, how can its sale be valid when it is known that sale cannot take place without ownership? Consequently, if a usurper utilizes a mosque by residing in it or cultivating it (when it is a piece of land), though he be considered a sin ner, he is not liable for any damages, because it is not owned by anyone. It is noteworthy that its ceasing to be anyone's property precludes its ownership through sale or purchase, but this prohibition does not apply if its ownership is acquired through al-,hiyazah (acquisition), like all other forms of natural bounties (al-mubahat al-'ammah). The \anbalís say: If the residents of a village migrate from the locale of the mosque and it stands in a place where no one prays in it, or if it is too small for the number of people praying in it and its extension or building a part of it is also not feasible without selling a part of it, its sale is valid, and if it is not possible to draw any benefit from it except through sale, it may be sold (al-Mughni, vol. 5, "baab al-waqf"). The opinion of the \anbalís is similar in some aspects to the view expressed by the Imámi Jurist al~ayyid Kaazim, who observes in Mulha qat al-'Urwah that there is no difference between the waqf of a mosque and its other forms. Thus dilapidation, which justifies the sale of other forms of waqf property, will also justify the sale of a mosque. As to the 'release from ownership', it does not hinder its sale in his view so long as the propertty has value. The correct view, in our opinion, is that it is not valid to own a mosque through a contract of sale, though it is valid to do so through al- ,hiyazah. That which gives strength to the view expressed by this great Jurist, that there is no difference (between the various kinds of waqf), is that those who permit the sale of a waqf which is not a mosque if it is in a dilapidated condition, do so because in a dilapidated state the structure is either unable to fulfil the purpose for which it was endowed or loses the quality made by the waqif as the subject of the waqf (such as where he endowes an orchard because it is an orchard and not because it is a piece of land). This logic applies exactly in the case of a mosque as well, because the condition that it should be used as a place of prayer was what caused it to be made a waqf. Now when this condition is not being fulfilled, the property ceases in its use as a mosque. In such a situation, the rule applicable to a non-mosque waqf will also be applied here, in that it can be owned through any of the forms of acquisition of ownership, even if it be through al-h, iyazah. The two also differ with respect to the rules applicable to their sale. Therefore those who prohibit the sale of a mosque allow the sale of a mosque's assets because there is no causal shar? or non-shar? relationship between them, considering that a mosque is used for wor ship, a purely spiritual activity, while the waqf of a shop (owned by a mosque) is destined for material benefit. Hence a mosque belongs to the category of public waqfs—or rather it is one of the most prominent of its forms—while the properties owned by it are private waqfs belong ing specifically to it. Consequently, it is doubtlessly valid to sell waqf properties belonging to mosques, cemeteries,and schools, even if we accept the invalidity of the sale of a school or a graveyard. 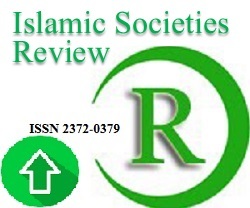 But is it valid to sell the properties subject to a waqf uncondi tionally, even if there is no justifying cause—such as its being in a dilapidated condition or dwindling returns—or is it necessary that there exist a justifying cause so as to be treated exactly like a waqf in favor of one's descendants and other forms of private waqf? These properties are of two types. The first type is one where the mutawalli buys the property from the proceeds of the waqf, such as where a mosque has an orchard which the mutawalll rents out, or buys orbuilds a shop from its proceeds for the waqf's benefit, or obtains a shop from charitable donations recehed. In such a situation, both sale and exchange are valid if beneficial, irrespective of whether there exists any justifying cause mentioned by the Jurists, because these properties are not waqf but only the proceeds or assets belonging to the waqf. Hence the mutawalll is free to deal with them in the interest of the waqf, exactly like he deals with the fruits of an orchard endowed for the benefit of a mosque,1 except where the religious judge (hakim al shar') supervises the creation of the waqf of a real estate bought by the mutawalli, in which case the real estate will not be sold unless there exists a cause justifying its sale. But where the mutawal~i creates a waqf, it has no effect without the hak~m's permission, because the mutawalli is appointed for managing the waqf and its utilization, not for creating waqfs. benefit of a mosque or school, or he himself makes a waqf of it). This kind of property is considered a private waqf and its sale is valid if the justifying causes, such as dilapidation or dwindling returns amounting to almost nothing, exist. But if they do not exist, it is not valid. I haven't come across in any work of the four Sunni schools in my possession anyone making this distinction. This is what I have inferred from what al~haykh al-'Ansari mentions in al-Makasib while discussing the rule applicable to a mosque's mat. He says: "A difference has been made between what is 'free' property (e.g. a mat purchased from the income of a mosque; in this case it is valid for a mutawalli to sell it if it is beneficial, if it has fallen into disuse or even if it is still new and unused) and between what is part of a waqf in favor of the mosque (e.g. a mat which a person buys and puts in the mosque, or the cloth used to cover the Ka'bah; the like of these are the public property of Muslims and it is not valid for them to alter their condition except in cases where the sale of waqf is valid)." Thus when it is valid for a mutawalri to sell a new mat of the mosque which he has purchased from its funds, it is without doubt valid for him to sell other such items, and that which indicates an absence of difference (between a mat and something else) is the Shaykh's own observation soon after the above quotation. There he states: "The rule applicable to baths and shops which have been built for income through letting them and the like, is different from the rule applicable to mosques, cemeteries and shrines." Exactly similar is the following view of al-Na'ini mentioned in al-Khwansari's Taqrirat: "Where a mosque is ruined or forsaken, in a manner that it is no longer in need of the income from its waqfs and other sources, the income from waqfs pertaining to it will be spent in worthy causes, though it is better that it be spent on another mosque." Similarly, if the waqf is in favor of a certain school or hospital which lies in ruins, its income will be used for charitable purposes or for another institution of its kind. We have referred to the opinions held by the different schools concerning mosques, and pointed out that the Imámi, Shaafi'ee, H. anafi and Maaliki schools are opposed therein to the \anbalís . But concerning waqfs other than mosques, the Imámís have their own specific stand regarding their sale. We will first mention the views of the four Sunni schools and then deal separately with the opinion of the Imámiy yah. Since the \anbalís have allowed the sale of a mosque on the existence of a justifying cause, it is more in order for them to allow the sale and exchange of a waqf which is not a mosque, provided a justifying cause exists. As to the Sháfi`ís , they absolutely prohibit its sale and exchange even if it is a private waqf (e.g. in favor of one's progeny) and even if a thousand and one causes exist, though they allow the beneficiaries to use up the private waqf themselves in case of necessity (e.g. using a dried fruit tree as fuel, though its sale or replacement is not valid for them). The Málikís, as mentioned in Sharh al-Zarqani 'ala A bi Diya, permit the sale of a waqf in the following three situations. First, where the waqif stipulates its sale at the time of creation of waqf; here his condition will be followed. Second, where the waqf is a movable property and is considered unfit for its prescribed purpose; here it will be sold and the amount realized will be used to replace it. Third, an immovable property will be sold for the expansion of a mosque, road or cemetery. Apart from these its sale is not valid, even if it lies in ruins and is not being utilized for any purpose. 3. Where replacement is more profitable and there is an increase in its returns, and there exists no condition set by the waqif prohibiting its sale. This was a brief account of the views of the four schools regarding a waqf which is not a mosque, and, as noticed, they, as against the Imámís, do not differentiate between private and public waqfs— excepting mosques—from the point of view of their sale. The Imámís divide waqfs into two categories and specify the rules applicable to each one of them as well as their consequences. Private Waqf: It is a waqf which is the property of the beneficiaries, i.e. those who are entitled to utilize it and its profits. To this category belong waqfs in favor of one's progeny, 'ulama', or the needy, the waqfs of immovable property for the benefit of mosques, cemeteries, schools, etc. 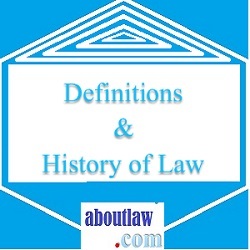 It is regarding this category that there is a difference of opinion between the Jurists as to whether its sale is valid when the justifying causes are present or if it is totally invalid even if a thousand and one causes exist. Public Waqf: It is a waqf for the common benefit of people in general, not for a specific group or class among them. To this category belong schools, hospitals, mosques, shrines, cemeteries, bridges, caravansaries of the past, springs and trees dedicated for the use of passers-by, because they are not meant for any specific Muslim individual or group to the exclusion of other individuals or groups. The Imámís concur that these public waqfs cannot be sold or replaced in any situation even if they are in ruins or about to be destroyed and fall into disuse, because, according to them, or most of them, they are released from ownership, i.e. gone out of the ownership of the earlier owner without becoming anyone's property. Thus on be coming waqf such a property becomes exactly like the free gifts of nature, and it is obvious that there can be no sale except where there is ownership. This is in contrast to private waqfs which involve the transfer of ownership of the waqif to the beneficiaries in some particular manner. Hence (in the case of public waqfs), if the purpose of a waqf becomes totally impossible to achieve (such as a school which has no students and consequently no lessons can be held in it) it is valid to transform it into a public library or a conference hall. We have already pointed out in the discussion on mosques that though they are precluded from being owned through sale, it is valid to own them through al-hiyazah. 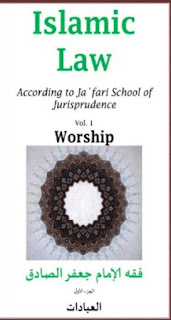 We also said that the author of Mul,haqat al-'Urwah has criticized the Jurists on the basis that there is no difference between public and private waqfs and that the reason justifying the sale of a private waqf also justifies the sale of a public waqf, He does not concede that a public waqf involves release and freedom from owner ship, and there is no impediment to sale in his opinion even if it is accepted to be such, because, according to him, the factor justifying a thing's sale is that it should possess value. However, we have some remarks to make about the opinion of the Jurists as well as that of the author of al-Mulhaqat. We reject the position of the Jurists on the ground that though the abseDce of ownership prevents ownership of a waqf through a contract of sale, it does not prevent its ownership through al-hiyazah. Similarly, ownership by itself does not validate sale, because mortgaged property, which is certainly owned (by the mortgagor), cannot validly be sold without the consent of the mortgagee. We reject the position of the author of ai-Mulh, aqat because possession of value by itself is not sufficient, for the unowned gifts of nature, (such as the fishes in the water or the birds in the sky, though they possess value, cannot be sold (in that state). Therefore, as observed earlier, the only way of ownership is through al-hiyazah. We have already mentioned that cemeteries are public waqfs like mosques and that the Imámís do not consider their sale valid in any situation, even if they are in ruins and their signs have been wiped out. I consider it useful to specifically discuss cemeteries in this chapter for the following two reasons. 1. The necessity of mentioning the rules in this regard, because there are numerous Muslim cemeteries which have been forsaken and are used for other purposes. If we know about a cemetery that a person had donated his land for that purpose and it was used for burial, the rule applicable to public waqfs will apply to it, and it will be reckoned among waqfs whose sale is invalid, even if its signs have disappeared and the bones of the buried have decayed. But if we know that the cemetery was previously an unused land not owned by anyone and the people of the village used it as a cemetery —as is usually the case—then it is not a waqf abinitio, neither public nor private; rather it will remain the common property of all (al-musha') and its hiyazah is valid for anyone who takes the initiative. But if a corpse is buried in a part of it, both the opening of the grave and using it in a desecrating manner is not valid. But anyone can personally utilize any part of this land by either cultivating it or building upon it if it is without graves or there are old graves whose occupants' bones have decayed. Where we are unaware of the history of a piece of land which is being used as a cemetery—i.e. as to whether it was an owned land which was endowed by the owner, so that it would be considered a waqf and governed by its rules, or if it was an Non-ownership land which the villagers later used for burying their dead—it will not be considered a waqf because the presumption is the absence of a waqf unless its existence is proved according to the Shari'ah. the sole knowledge of its being a cemetery is not sufficient to prove that it is a waqf. It could have been common land. If a person digs a grave for himself to be buried in it at the time of his death, it is valid for others to bury in it another corpse even if there is extra space in the cemetery. But it is better to leave it for him, refrain ing from troubling a believer. We have already mentioned that Imámi Jurists concur that the sale of public waqfs, like mosques and cemeteries, etc., is not valid. But regarding private waqfs (e.g. the waqfs made in favor of one's progeny, scholars, or the needy) there is a difference of opinion between them where there exists a cause justifying their sale. The following causes justifying the sale of private waqfs have been mentioned by these Jurists. 1. Where there remains no benefit of any kind in the property from the viewpoint of the purpose for which it was endowed (e.g. a dried branch not yielding fruit, a torn mat fit only for being bumt, a slaughtered animal which can only be eaten), there is no doubt that this cause justifies sale. 2. Al~ayyid Abu al-Hasan al-'Isfahani observes in Wasilat al najat: "The articles, carpets, cloth coverings of tombs, and similar items cannot be sold if they can be utilized in their present state. But if they are not required in the location any longer, and their being there would only damage and destroy them, they should be utilized in a similar alternative place, and if such a place does not exist or exists but does not need them, they will be used for public benefit. But where no benefit can be derived from them except by selling them and their retention amounts to their damage and destruction, they will be sold and the proceeds used for the same place if it is in need of it. Otherwise, it will be used in any other similar place if possible or for public benefit. 4. If the waqif provides for the sale of waqf property in case of dispute between the beneficiaries, or dwindling profits, or any other reason which does not make a 1?alam 1?ala1 and vice versa, his desire will be carried out. This is what the Jurists say, though I do not know the basis of their opinion except what they have mentioned regarding the counter ing of a greater by a lesser harrn. But it is obvious that it is not valid to remove harm from one person by shifting it to another, and the sale of the waqf entails loss to the succeeding generations of beneficiaries. 7. If a mosque is ruined, its stones, beams, doors, etc. will neither be treated in accordance with the rules applicable to the mosque itself, nor the rules applicable to fixed property endowed for the benefit of a mosque which forbid its sale except on the presence of a justifying cause. Rather, the rules applicable to them will be those which apply to the income of the mosque and its waqfs ~such as the rent of a shop belonging to or endowed in favor of the mosque). In this regard the mutawal~i is free to utilize it in any manner beneficial for the mosque. opportunity. If deemed beneficial, it is also permissible to do business with it, though the profits will not be distributed among the beneficiaries, as is done in the case of the income generated from the waqf; rather the rule applicable here will be the rule applicable to the waqf itself because it is part of the property sold and not a true increase." This is what al-'Ansari has said and he, may God be pleased with him, is better aware of his true intent. But I do not perceive any dif ference between the profits of the sale proceeds of a waqf and the income generated from the waqf itself. Therefore, as the income of the waqf is distributed among the beneficiaries, it is appropriate that the profits (from the sale proceeds invested) be similarly distributed, though it may be said that the income from the waqf's immovable property does not belong to the class of the waqf property itself but is separate from it, whereas the profits from business are in the form of money which does not differ from it, and where there is a difference, the rule applicable will also differ. Whatever the case, if the mind is set to work, it finds a solution for every difficulty and doubt from a theoretical point of view. But, obviously, practice should be the criterion, and the tangible reality is that usage does not distinguish between the two situations, and therefore it should be resorted to. Al-Shaykh al-Na~ini observes in al-Khwansari's Taqrlrat: If another property is purchased from the sale proceeds of the first property, the latter will neither take the place of the former nor will it be considered a waqf similar to the former; rather it is exactly like the income generated from a waqf, and it is permissible to sell it without any justifying cause if the mutawalri considers its sale to be beneficial. The correct opinion is the one mentioned by al-'Ansari, al~hah2d and other researches that there is no difference between the replacement and the property replaced.